Almost all of Britain's homes and businesses would be powered by wind, solar and nuclear power by 2030, under bold new green energy plans being outlined by Labour. Rebecca Long-Bailey, the shadow business secretary, will declare on Tuesday, that the party is committed to reducing greenhouse has emissions to zero by the middle of the century. The UK's current goal is an 80% cut by 2050. Such a move would put the UK ahead of the EU and signal that it intends to be a strong, international climate leader post-Brexit. It would also leapfrog Labour ahead of the Conservatives on climate-change action. The government is shortly expected to instruct its climate advisers to explore what a tougher global-warming goal means for the UK's domestic carbon targets but has not yet pledged to hit zero emissions. The plan envisages 85% of electricity coming from renewable and low-carbon sources by 2030, a dramatic increase on the 50% they provide today. That would involve a sevenfold increase offshore windfarms and a tripling of solar power, enabling nearly 20m homes to be powered by wind and solar. They also said they would remove barriers the conservatives put in place for onshore windfarms. Labour would like to see doubling of onshore windfarms by 2030. 'The potential benefits of transitioning to a sustainable economy are enormous and we want to make sure these are shared by everyone... The Tories are not up to the job of dealing with the existential threat posed by climate change.' said Long-Bailey. Beyond electricity, the party is also grappling with how to keep the UK warm without burning fossil fuels. Around 85% of the country uses gas for heating, with most of the rest using oil and a tiny proportion coming from renewable sources such as heat and biomass. labour is mulling a goal of providing 44% of heat from renewable sources by 2030 and reducing heat demand from buildings by almost a quarter. The party is expected to officially adopt the energy goals later this year. Jim Watson, Director of the UK Energy Research Centre, said: "These proposals are envisaging a much more ambitious approach than current policy. With respect to renewable electricity, particularly wind, the ambitions look achievable by 2030." Industry sources told the Guardian that the proposals for more green electricity were ambitious but could be met provided there was a rethink on onshore windfarms, which are currently ineligible for subsidies. However, Watson said that meeting the targets on low-carbon heat would be more difficult and "a tall order". Greenpeace said the adoption of a net-zero emissions goal for 2050 was "truly transformative". 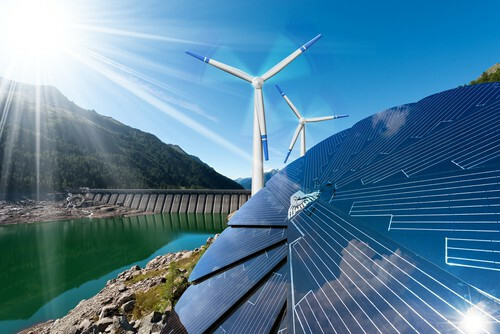 Friends of the Earth said the energy proposals could help the UK seize the potential of "huge innovations happening in renewable energy technology." Labour said it had created a working group with unions to "ensure workers are protected" as the energy industry shifts from fossil-fuel power stations to a renewable future. ... Algeria should further reduce energy subsidies to cut government spending and promote energy efficiency, their energy ministers said on Monday.